1980 – Receives a Visual Arts Fellowship from the National Endowment for the Arts and a grant from the Adolph and Esther Gottlieb Foundation. 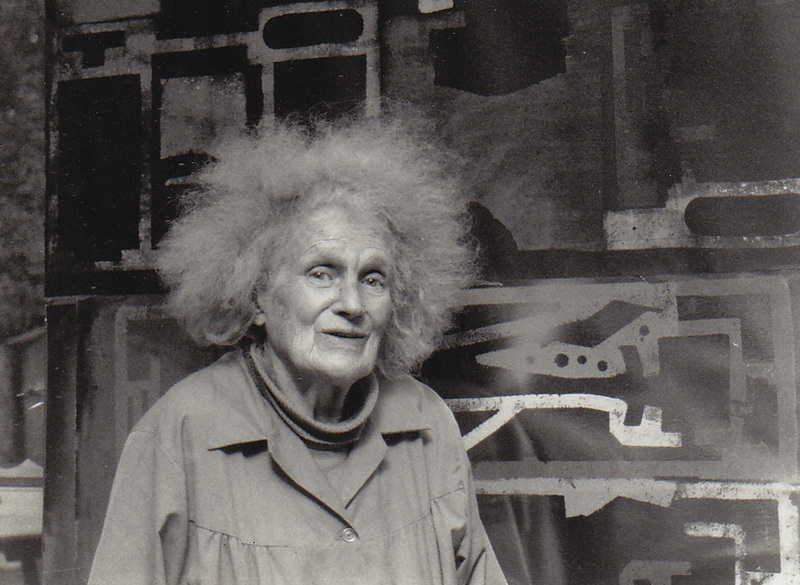 Participates with Louise Bourgeois, Dorothy Dehner, Buffie Johnson and Miriam Schapiro in the symposium ‘Women Artists Exhibiting in the Fifties’ at the A.I.R. Gallery, New York. 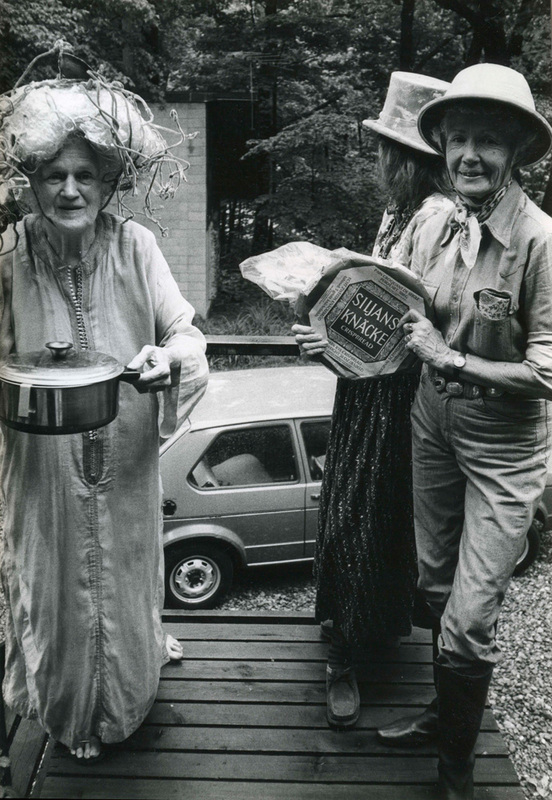 1981 – Honored by the National Women’s Caucus for Art with an award for Outstanding Achievement in the Visual Arts. Residency at Altos de Chavon, La Romana, Dominican Republic. 1982 – Featured in Bill Moyer’s PBS television series Creativity. 1983 – Sits for a portrait by Elaine de Kooning. 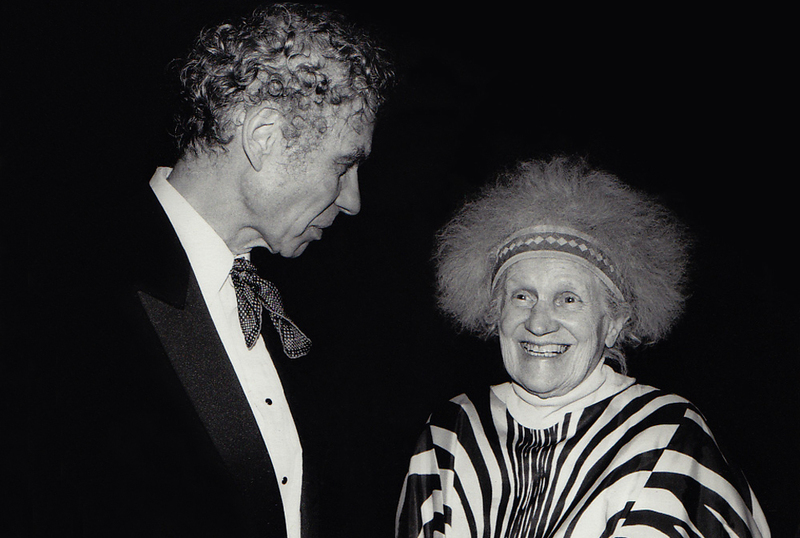 Performs with Simone Forti in The Light Opera by Charlie Morrow at LaMama Annex, New York. Participates in the tenth annual marathon reading of Gertrude Stein’s The Making of Americans at Paula Cooper Gallery, New York. 1984 – Travels to China with Rip Hayman, from Shanghai to Chongqing on the Yangtze River, and Beijing. A photo of her appears on the cover of the Shanghai Times. Contributes Talking Bottles and Bones, a collaboration with composer Pauline Oliveros, to The Sound Art Show at the Sculpture Center, New York. 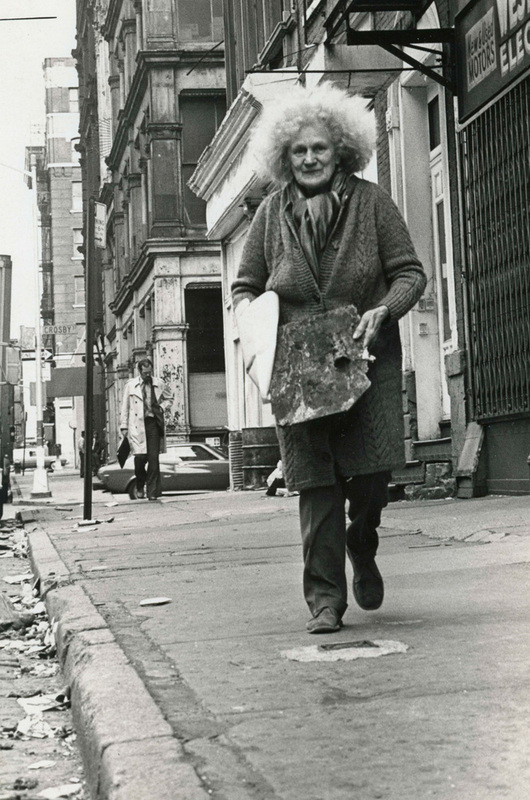 1985 – The President of the Borough of Manhattan declares September 28th Sari Dienes Day. Performs Sounding the I Ching with Rip Hayman, Raphael Mostel, Vicki Stern and the Tibetan Singing Bowl Ensemble at the Dharma Music Festival, Samaya Foundation, New York. 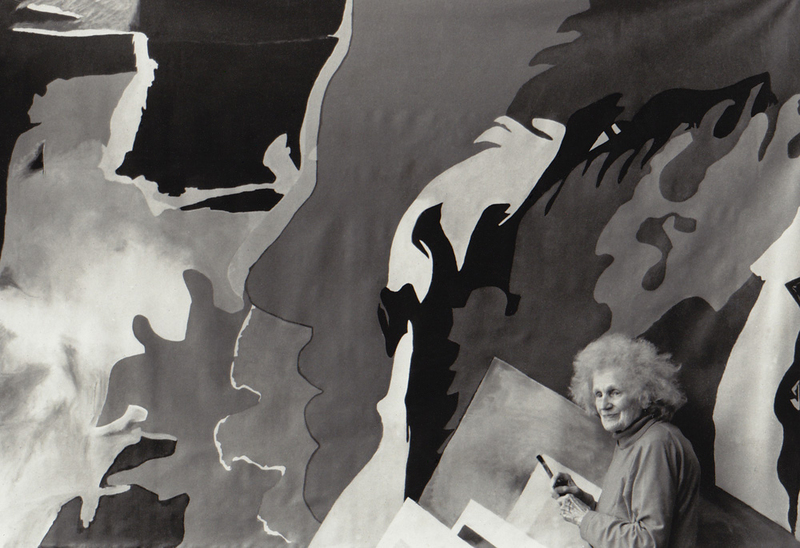 1986 – Retrospective at Thorpe Intermedia Gallery, Sparkhill, New York. 1987 – Performs with Rip Hayman, Charlie Morrow and Barbara Pollitt on recording of Hayman’s ‘Sleep Song’ on Dreamsound. 1989 – Included in the exhibition American Women Artists: The 20th Century at the Knoxville Museum of Art, Knoxville, Tennessee. 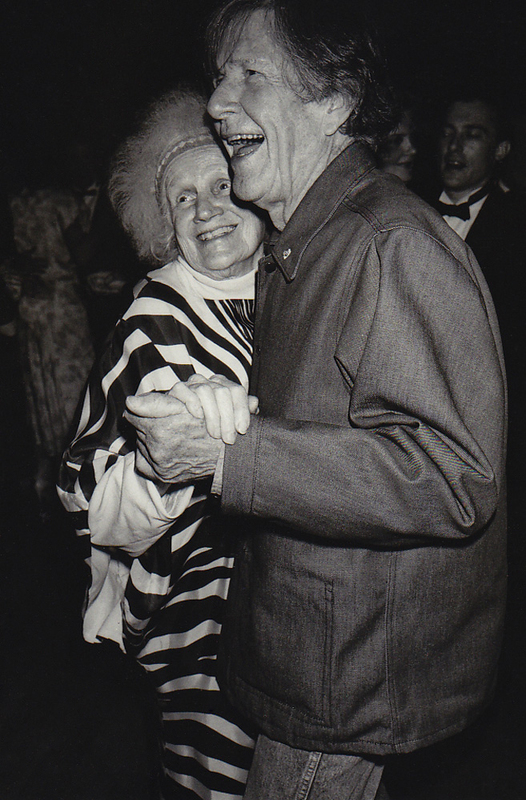 Biographic film and interview of John Cage about Sari, entitled Garbage Art by Mildred Pollner released. 1990 – Francesco Conz publishes a suite of facsimile prints of Sari’s life drawings from 1931. Travels to Paris for a retrospective exhibition at Galerie J & J Donguy. 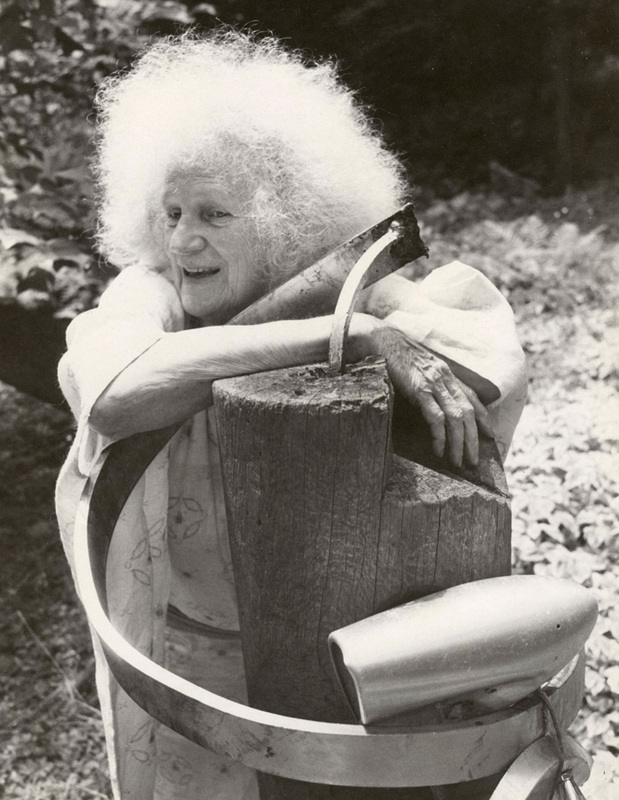 1991 – Hungarian National Television broadcasts the documentary Sari Dienes – Doyenne of the American Avant-Garde as part of the ‘Remarkable Hungarians’ series. 1992 – Dies at her home at Stony Point, New York on May 25th.